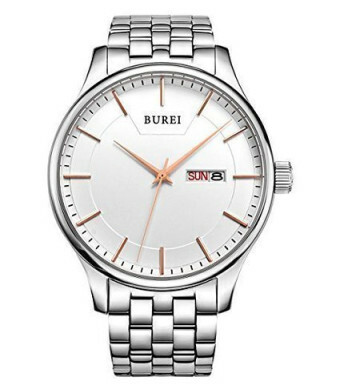 Classic Swiss-inspired men's watch design, with ultra-precise Japanese quartz movement and sleek, professional style. QUALITY - 316L stainless steel, mineral glass; hypoallergenic, corrosion- and scratch-resistant, water-resistant to 30m (99ft). GUARANTEE - 30 days money back guarantee for any reason, 12 mo. replacement or full refund for quality issues, and 24 mo. maintenance for quality issues. 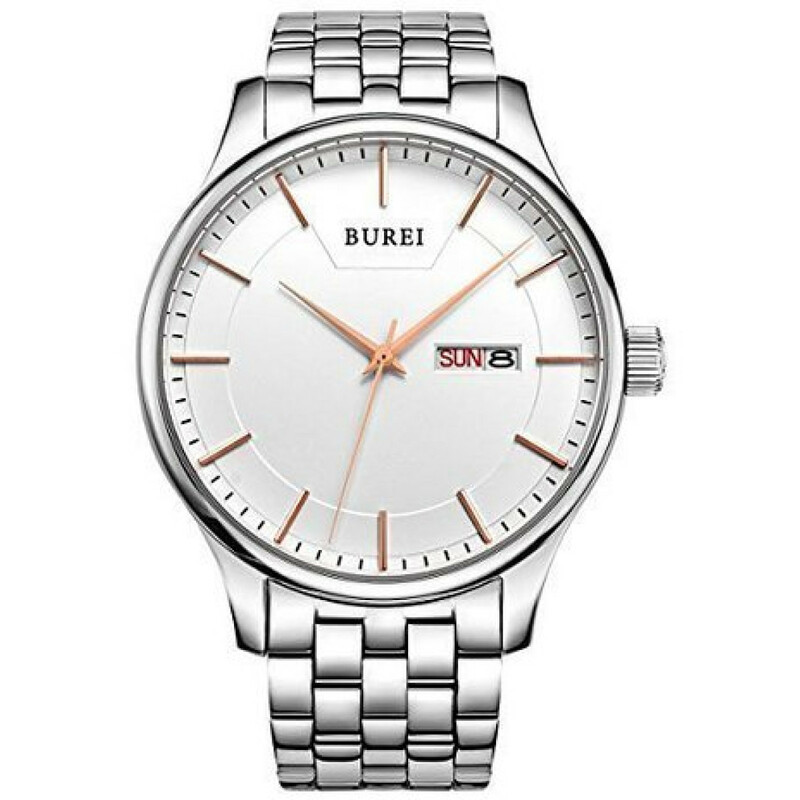 ABOUT BUREI - We design watches and sell them direct from our factory to you, without the heavy price tag, beating competitor's prices daily. Case Diameter: 1.65 in, Weight: 4.23 oz, Band Length: 6.85 in, Band Width: 0.74 in; includes gift bag and watchband link remover tool, additional colors and styles available from BUREI.